In addition to decades of professional experience, John Lazarian receives annual training from HOST with specialized instructions on using the latest products. The use of the CFS specialist’s logo demonstrates our pledge to the general public that we are providing a quality cleaning service nationwide. The certification and use of this logo is restricted to only those who have gone through an extensive training at SquibCo Academy and are actively certified. The purpose of this non-profit certification organization is still to ensure that consumers have access to trusted and trained cleaning professionals by establishing and monitoring certification programs and standards for the cleaning, restoration and inspection industries. To qualify for The Clean Trust certified firm status businesses must demonstrate proof of insurance, maintain a written customer complaint policy with documented follow-up and provide ongoing education and training leading to certification for all technicians. All certified firms are also required to abide by The Clean Trust Code of Ethics. Services provided by The Clean Trust certified professionals range from flooring inspection and cleaning to mold remediation to water and fire damage restoration. We use HOST Dry Carpet Cleaner which is a USDA Certified Biobased Product. 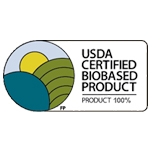 Biobased products are derived from plants and other renewable agricultural, marine, and forestry materials and provide an alternative to conventional petroleum derived products. 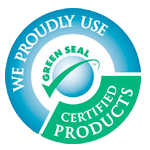 Green Seal is an independent nonprofit organization with over 20 years’ experience in certifying products and services that are greener and healthier. All of our carpet care products meet or exceed the strict standards set by the Green Seal organization ensuring the health of your family and the environment. 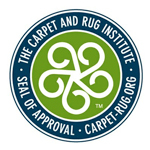 All of the products we use meet or exceed the requirements for effectiveness and safety set by the Carpet and Rug Institute. The CRI Seal of Approval program identifies effective carpet cleaning solutions and equipment that clean carpet right the first time and protect a home or facility’s carpet investment. Not all products clean well enough to earn the Seal of Approval distinction.